The current view of the Corkscrew at Mazda Laguna Seca Raceway shows the safety improvements including more runoff area and gravel traps. 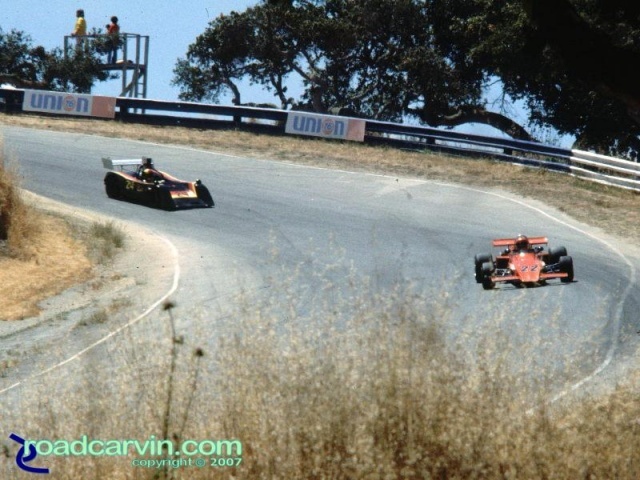 The Corkscrew was unforgiving if you left the track. 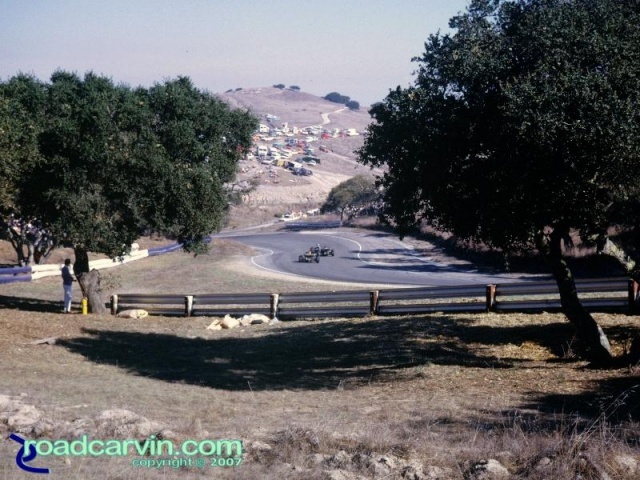 Bottom of the Corkscrew at Laguna Seca Raceway in 1983. A current look at the Corkscrew at Mazda Laguna Seca Raceway from the bottom. Too bad they moved the pedestrian bridge to the new location. Current view looking towards the top of the famous Corkscrew at Mazda Laguna Seca Raceway. 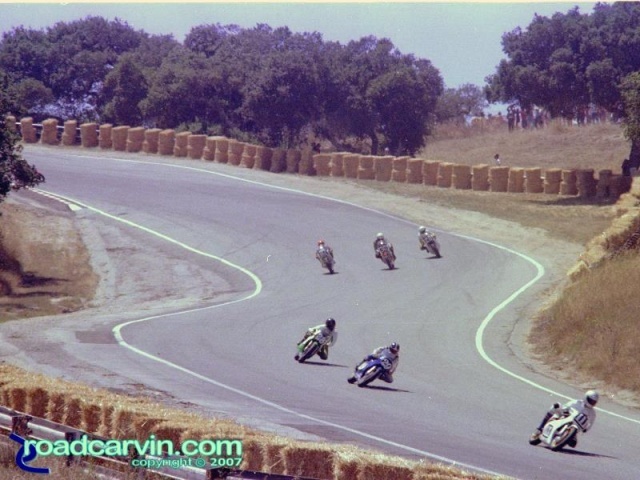 The Corkscrew at Laguna Seca Raceway the way it was before many safety changes. 2008 Buell 1125R demo bikes lined up in the pit lane.